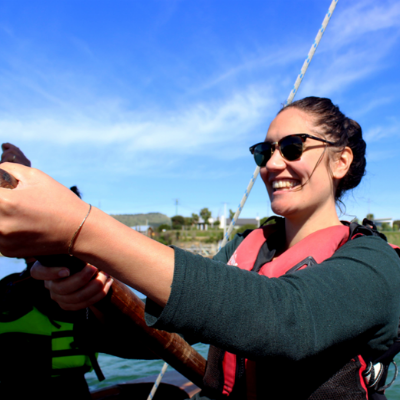 Chanel Phillips (Ngāti Hine, Ngāpuhi) is a current Research Fellow for Te Koronga Indigenous Science Research Theme at the University of Otago. She has recently submitted her doctoral thesis at the School of Physical Education Sport and Exercise Sciences at the University of Otago. Her thesis entitled A Journey to Belonging: Explorations of Māori perspectives of Water Safety examined Māori perspectives of water safety through three case studies with iwi, hapū and whānau across Aotearoa: Maripi Tuatini in Rangitīkei (Ngāti Apa Ngā Wairiki iwi), Hauteruruku ki Puketeraki Waka club in Otago (Kāti Huirapa ki Puketeraki hapū) and Te Taitimu Trust in Hawkes Bay (whānau from Ngāti Kahungunu). Her study analysed Māori oral narratives such as pūrākau, mōteatea, karakia, whakataukī and pepeha pertaining to wai, to understanding Māori perceptions of water safety and drowning prevention. Her broad research interests include: Māori and indigenous people’s research; Māori health and physical education; Māori water safety; outdoor education; environmental health and; working with youth. Chanel’s kōrero will be based on this research.